I don’t know about you but I do enjoy a good ‘picture window’ and this property has undoubtedly some of the finest views over towards Ilkley. On the market with Harrison Robinson http://www.rightmove.co.uk/property-for-sale/property-59228591.html for £425,000, the last 3 bed semi on Carters Lane sold for £275,000 back in 2014 so I do think the price for this property is a little optimistic. 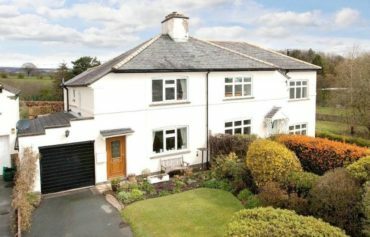 However back to the views, they will take some beating, you are semi rural being 1.5 miles out of Ilkley and next to the highly regarded Westville House School.